Grace Weiand is a junior at Seattle Prep and a proud member of the Panther Staff since freshman year. She loves watching The Office, hanging out in the OSL, listening to One Direction while driving with her friends, online shopping, and facetiming her beloved older siblings, Nate and Jane. Fun fact about Grace- she always keeps an extra case of La Croix in the back of her car- just in case. 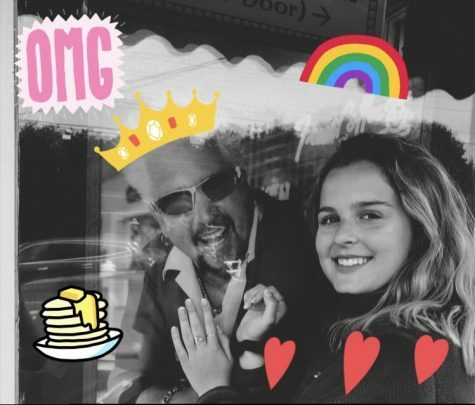 Pictured- Grace and Guy Fieri at a restaurant in Maine… sadly he isn’t real.